Graveyard Mall: 9 pairs of women’s branded sunglasses for $13.99! One of my FAVORITE offers is back on Graveyard Mall today! You can get 9 pairs of women’s branded sunglasses for just $13.99! In Texas, sunglasses are a must have, but between my kids getting ahold of my sunglasses and breaking them and being absent-minded, I find that I’m constantly needing new ones! I took advantage of this deal last summer, and I did a similar deal a few weeks ago! This deal always sells out quickly, so hurry and grab it while you can! 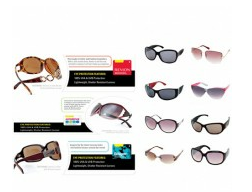 These sunglasses include brands such as Revlon and Panama Jack and typically retail for $9.99 to $29.99 EACH! They offer 100% UVA & UVB protection. This is the second time I’ve taken advantage of these deals on sunglasses because well…I’m absent minded and I have kids! NOTE: You do have to pay shipping and handling, which is usually about $6.99. It’s still a great deal! Men’s and Women’s Branded Sunglasses for $1.55 per pair! Graveyard Mall has a deal on men’s and women’s sunglasses again! Get 9 pairs of men’s or women’s branded sunglasses for just $13.99! That’s just $1.55 per pair! I have purchased deals on sunglasses twice now through Graveyard Mall and I haven’t been disappointed! In Texas, sunglasses are a must have, but I find that I am constantly losing mine or my kids get ahold of them and break them. For this price, I don’t have to worry! I always have a pair when I need one and I can keep them in various places including my car, purse, and pool bag! Your set will include brands like Essencce Revlon, Panama Jack, Beauty Solutions, Extreme Optix, Route 66 and more! They retail between $9.99 and $29.99 per pair! Here’s what I got when I grabbed a similar deal earlier this summer: this one only included 6 pairs instead of 9 and was $19.99, but this gives you an idea! 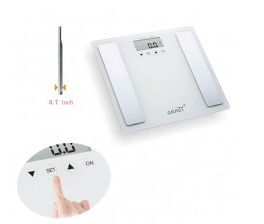 this scale monitors weight, body fat and hydration level, features a 6-mm tempered glass, stainless steel test chips, high-precision sensors, touch buttons for 10 users as well as various memory functions. NOTE: Shipping and handling fees do apply and vary by location. For me, shipping was only $1.99! 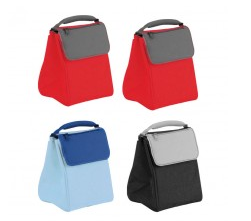 Innercool Integrated Cooling System Lunch Sack for $3.25 each! The Graveyard Mall Deal of the Day today is these Innercool Integrated Cooling System Lunch Sacks. You can get a 4 pack for just $12.99, which makes them just $3.25 each! These are great for road trips, school lunches, and even to take to work with you. What makes InnerCool so cool is its specially engineered, extra layer of SuperCool gel. Your InnerCool cooler with the SuperCool gel layer can be frozen or refrigerated for awesome cooling power while the specially engineered layer allows the bag to be folded compactly and opened even when frozen. And InnerCool’s extra layer of SuperCool gel holds the cold and keeps your items colder, longer than other bag coolers….even without refrigeration! NOTE: Shipping and handling fees do apply and vary by location. 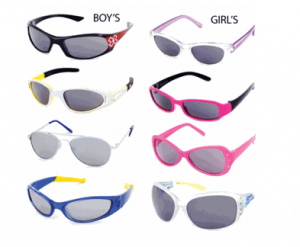 Graveyard Mall: 6 pairs of boys licensed sunglasses for $11.99 shipped! If you’ve got a little boy, this is a GREAT deal on sunglasses: Get 6 pairs of boys licensed sunglasses for $11.99 shipped! That’s just $2 per pair! In Texas, sunglasses are a must have pretty much year round! My kids LOVE sunglasses, but I am constantly having to replace them because they leave them at the pool or somewhere else or they get broken. The past two summers, I have purchased the woemn’s sunglasses for myself and I’ve been reallyp leased with the quality!, when they have offered women’s sunglasses, I bought a box for myself and I was really pleased with the quality! The glasses feature favorite Disney characters and more!